Marc Evans Save 25% Off Site Wide at Leading Lady. Enter promo code SPIRIT at checkout. Tested this promo code and verified that it works as described. joel gomez At the time of the purchase place the coupon to get great discount of 25% Off Site Wide at Leading Lady. Wisnellys Martinez I am validating that this deal works as described. 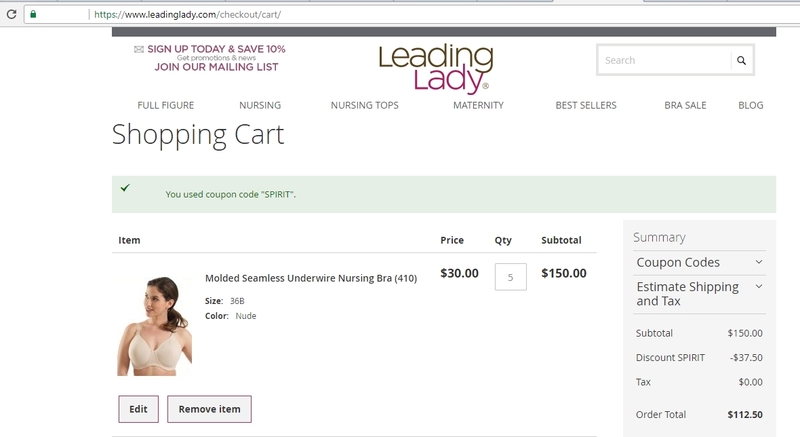 Enter code at checkout and get 25% Off Site Wide at Leading Lady. Laura DeLuca Enter coupon code at checkout. 25% off everything and up to 60% off Clearance will be deducted after code is applied. Free shipping is applied after code. Limit one coupon code promotion per purchase. 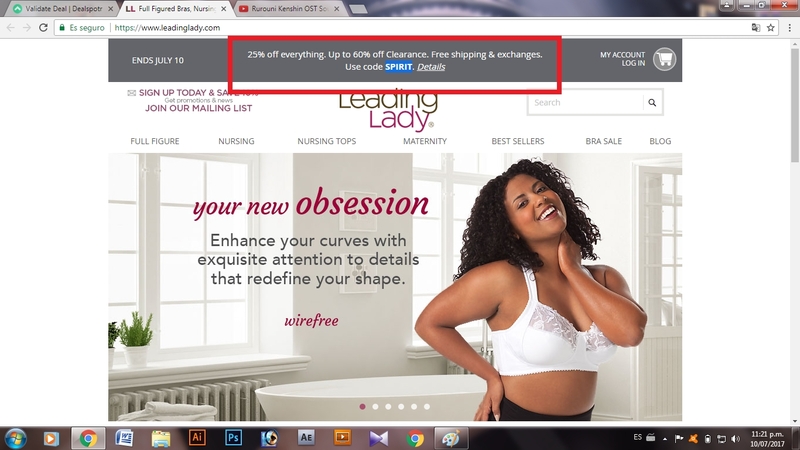 Coupon codes may not be combined. The value for each item returned will be reduced to reflect the value of the discount or promotion applied to the original order. Previously used discounts and promotion codes cannot be applied to the sale of a different item or future order. We do not make price adjustments on previously purchased items. Shipping promotions are extended to the Continental US ONLY. Promotional shipping discounts are based on the “Grand Total” in the shopping cart. Offers may be modified or discontinued at any time without notice. All promotions end at 11:59 PM EST on listed end date. * This code applies to any style. 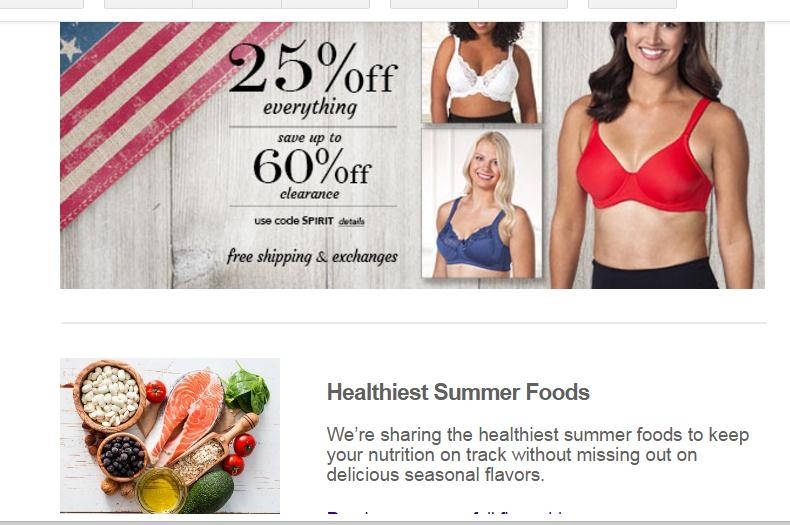 Helen Tovar This code is correct, you must apply the code after you have chosen your products and put them in the shopping cart to receive the 25% Off Everything. Save Up to 60% Off Clearance at Leading Lady. Emma Save 25% off everything. Save up to 60% off clearance. Free shipping & exchanges. Use the code SPIRIT through 7/10/17. Must have 1 item in cart before applying code. Valid on & US Territories orders only. Not valid on previous purchases. Not valid on future purchases after the offer is no longer available. 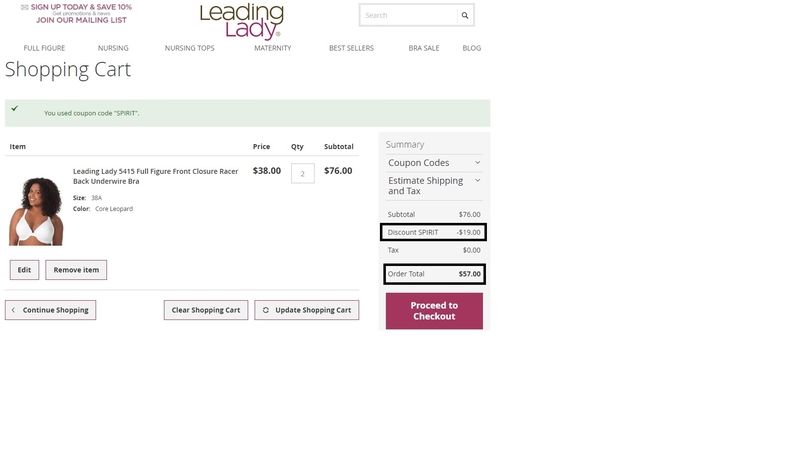 Offer only available on LeadingLady.com. Offer may be discontinued at any time without notice. One use per customer per order.